There will be no more rewards for classrooms that beat attendance goals at Irma C. Ruiz Elementary School in Chicago’s Pilsen neighborhood. “We wanted to try to find some things that would show acknowledgement for students coming to school and have some celebrations—instead of rewards and incentives,” says Principal Dana Butler. Nationwide, one in seven students miss enough school to put them at academic risk. Chronic absenteeism—or missing 10 percent or more of school days for any reason, excused or unexcused—detracts from learning and is a proven early warning sign of academic risk and school dropout. The shift in talking about attendance at Ruiz came at the start of this school year after the school recorded a respectable 93 percent attendance rate during the 2016-2017 school year. Still,Butler wanted the school to top 95 percent. The celebrations so far have come in the form of dances, where all students participate at different times throughout the day, and extra physical education time, where each class gets to decide which activity they do. These pointed attendance-oriented initiatives join other health and wellness initiatives that Ruiz has started over the past few years, including healthy fundraisers and a program that encourages students to try fresh fruits and vegetables. 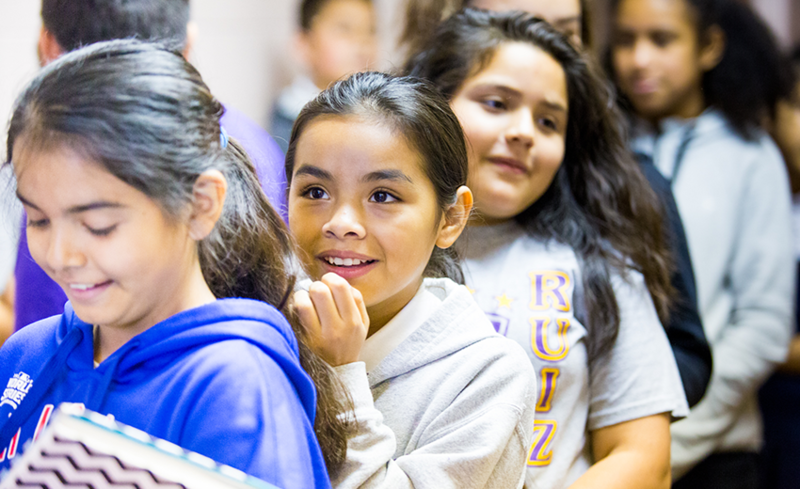 It’s all part of Ruiz’s plan to focus on the whole student, and it seems to be working:Ruiz is on track to exceed its attendance goals for the year. Butler has noticed fewer disciplinary issues and improved student morale. “The kids seem to be happier about coming to school and trying to participate,” he says. If you are interested in thinking about ways to address chronic absenteeism in your district or school, check out our Framework for Action: Addressing Chronic Absenteeism through ESSA Implementation.